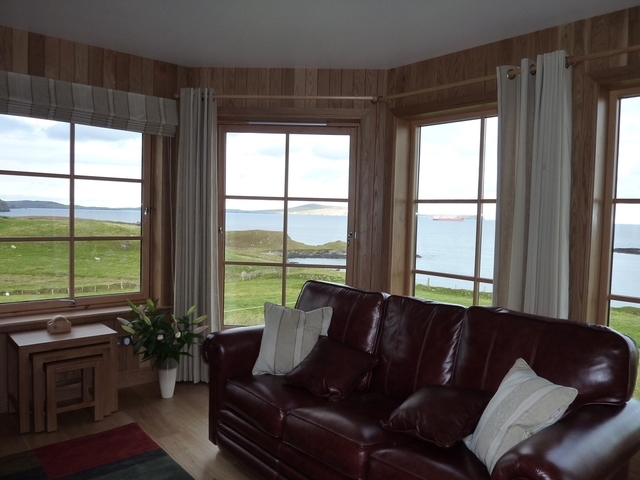 Purpose built in 2009, this beautiful and luxurious 5 Star (STB graded) lodge has the most magnificent uninterrupted seaviews over the beautiful Bay of Ocraquoy and out over the North Sea towards the islands of Bressay and Noss. 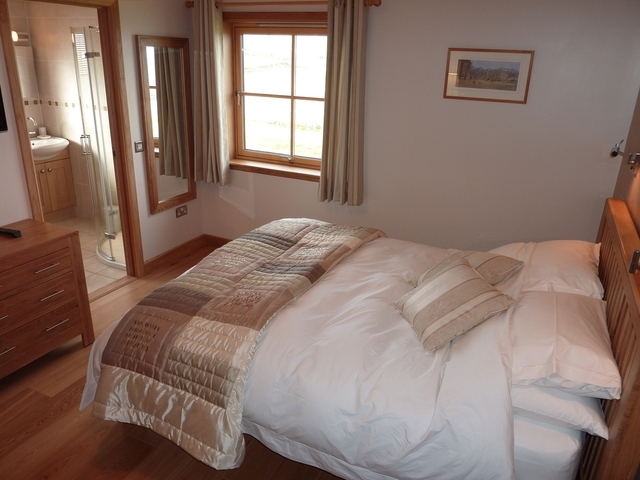 Situated in the unspoilt coastal area of Fladdabister & Ocraquoy on the South Mainland of Shetland this beautiful lodge has been designed and planned with great thought to the requirements of its' intended visitors. Everything in this property looks good and works well. Externally, it epitomises the best of Scandinavian construction, with carved wooden features and quality Norwegian doors and windows and a large veranda spanning the sunniest two sides of the property overlooking the sea. 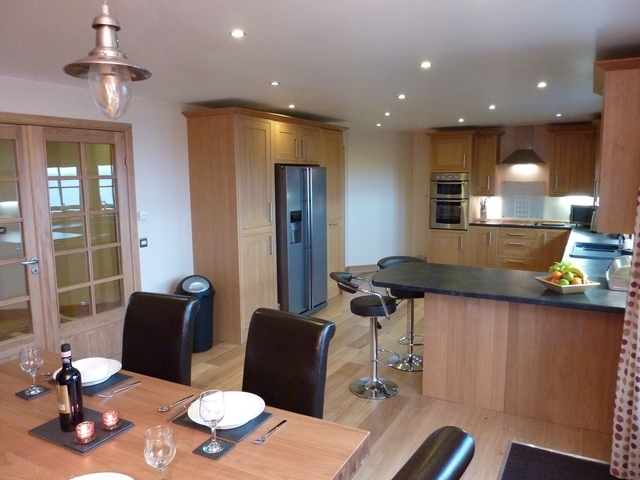 Internally, this warm and inviting property eminates an unmistakable quality. Beautiful solid oak fittings and furnishings create a wonderfully elegant interior with timeless style and for your added comfort, underfloor heating runs throughout the property under the solid oak floors. - An elegant and spacious living room has large floor to ceiling windows so as to make the very best of the magnificent sea views. 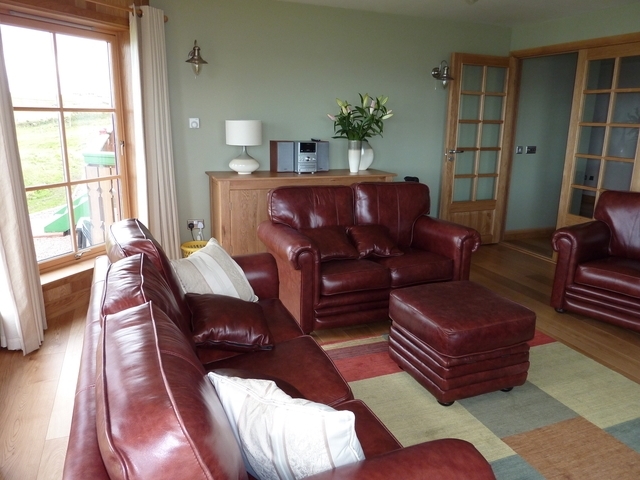 Solid oak furniture, leather handmade sofas and 42" LCD TV with freeview channels also help to create a warm and inviting room in which to relax. - A very spacious open-plan kitchen/dining room spans a large part of the house with kitchen windows looking directly out over the sea below, and quality French doors lead from the dining room out onto the veranda. 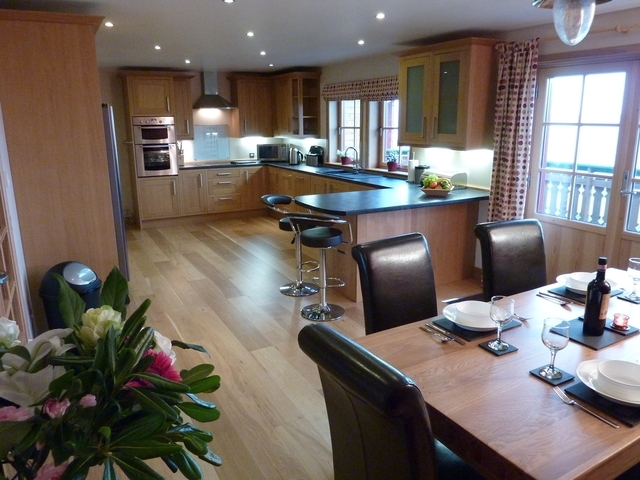 - The fully-integrated solid oak kitchen has been carefully planned and comprehensively equipped to ensure the very best in self-catering. - Two elegant kingsize bedrooms are located at each end of the house, both with luxury ensuite bathrooms. - There is a spacious and bright study/office for those who need to work when away from home and includes free Wifi access. - For those who enjoy being pampered there is the added luxury of a 2-person sauna which adjoins a recreation room complete with suitable gym equipment and TV for those who like to keep fit! 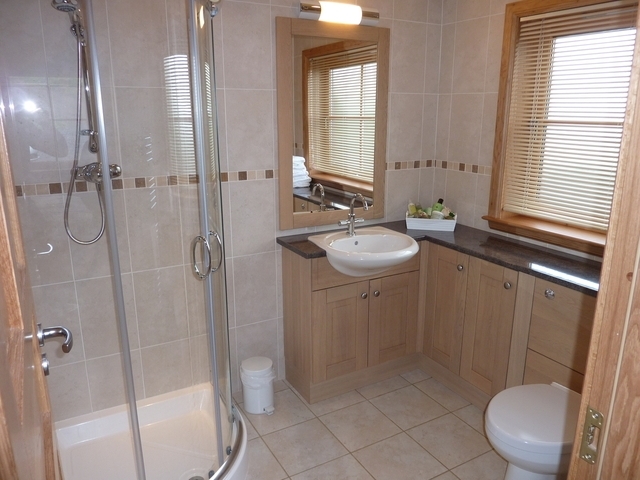 - There is also a separate utility room and cloak-room, as well as garden area and private parking. This property is furnished to the very highest standards and the attention to detail is evident throughout the property. 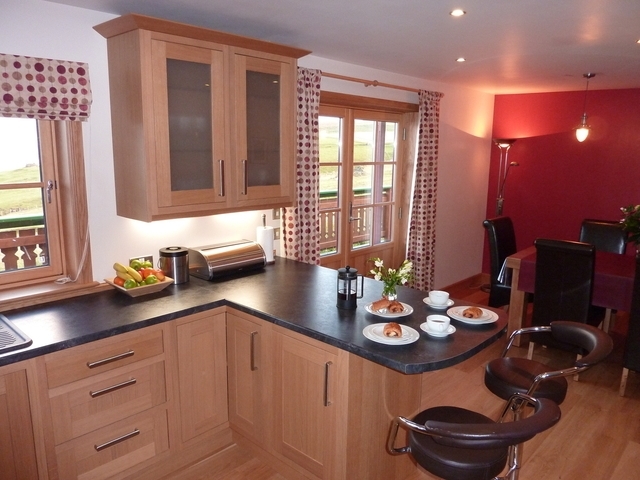 Overall this luxury lodge really is the perfect retreat for the discerning visitor who recognises the importance of quality, comfort, cleanliness & privacy.